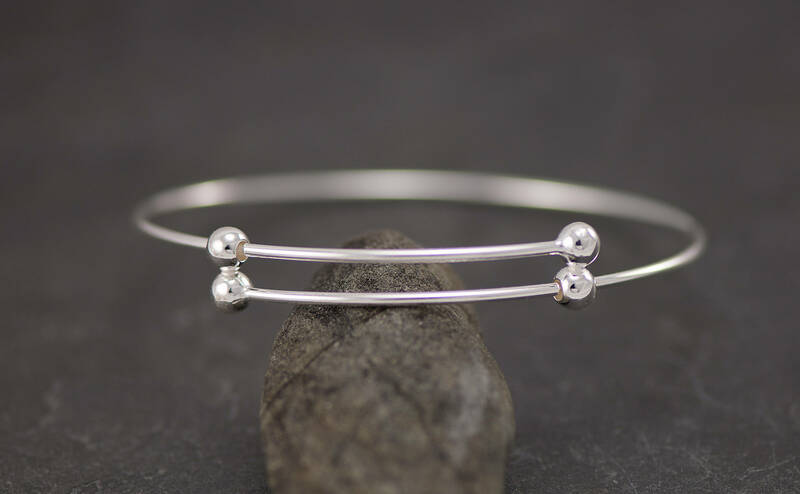 This solid sterling silver bangle is accentuated with silver balls. 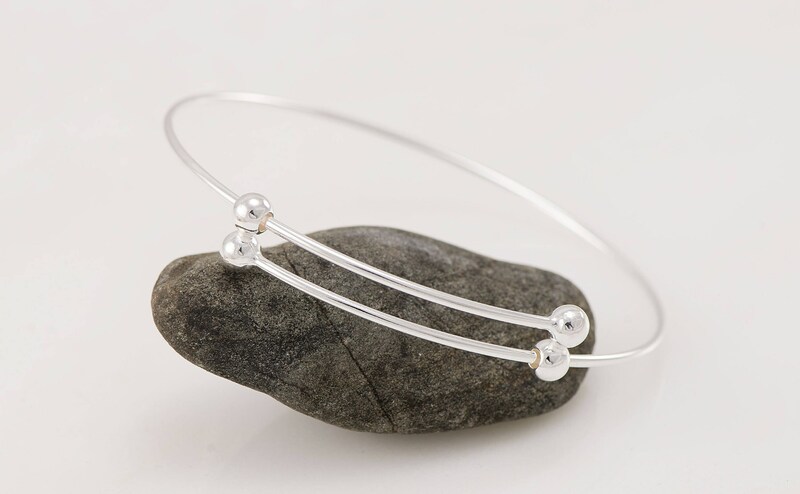 This bangle is adjustable and opens & closes for a tight to loose fit. 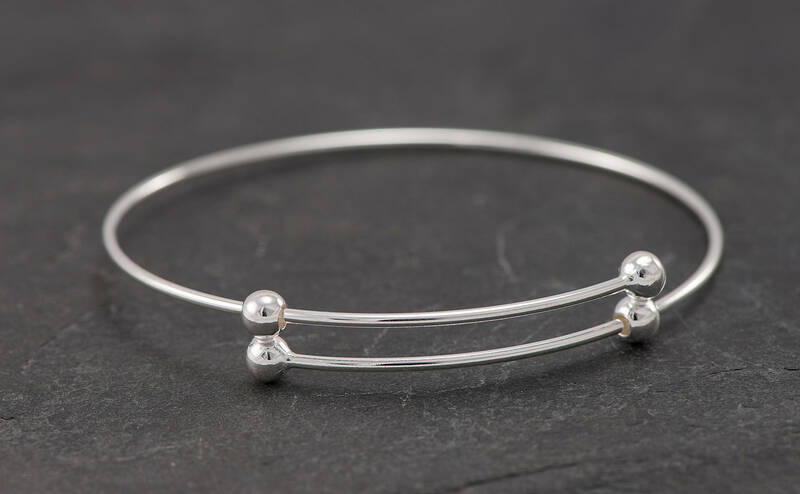 This bangle adjusts to fit most sizes (small to large). 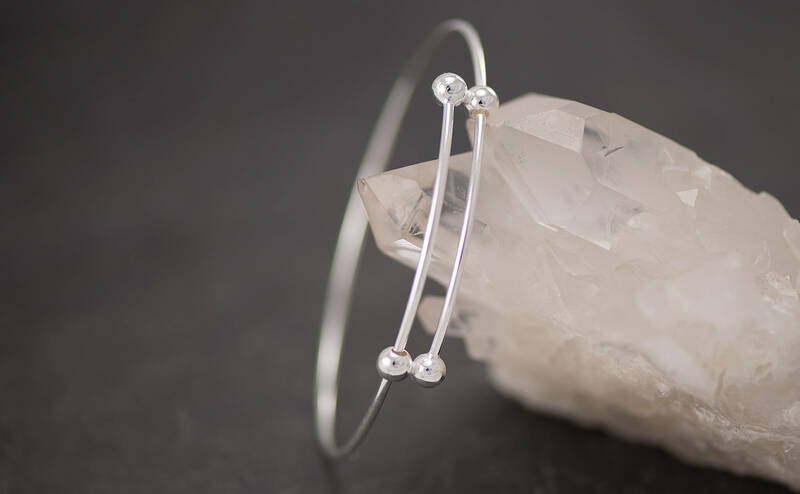 This bangle is made of 14 gauge wire (1.63mm). This was just lovely! 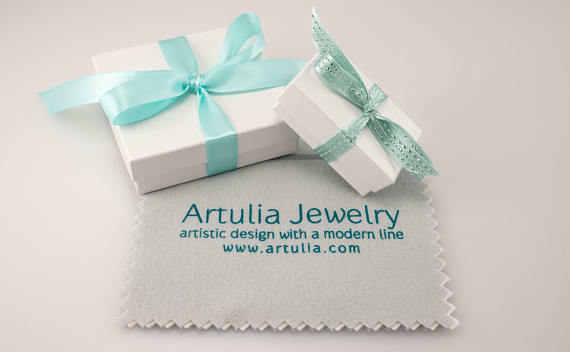 My sister loved it! 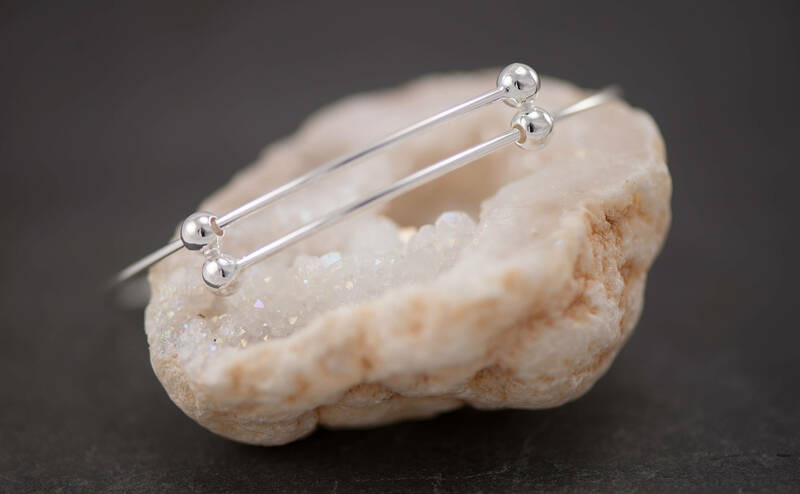 I have ordered from this shop several times, and all of the pieces have been gorgeous.